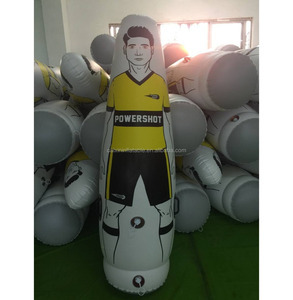 Baoding Boao Plastic Products Co., Ltd.
Yiwu Buyball Sports Goods Co., Ltd.
Shanghai Funny Outdoor Products Co., Ltd.
Ningbo Yaowan Sports Co., Ltd.
Guangzhou Oudeman Sports Goods Co., Ltd.
Tay Stationery (Shaoxing) Co., Ltd.
Jiangxi Feima Sports Goods Co., Ltd.
Yiwu Jet Sports Products Co., Ltd.
Qingdao Zhongsi Rubber & Plastic Products Co., Ltd.
Yongkang FODO Sports Co., Ltd.
1.Are you a factory or trading company9 We are professional factory which is engaged in this area about 15 years. If the sample you need are our common items, then sample time will be about 7 days. 3. Can I place an order less than your MOQ for the first trial order9 Yes, we can accept an trial, just the price is a bit higher. 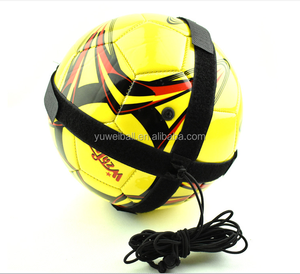 Yiwu Dedao Sports Goods Co., Ltd.
Shaoxing Tianma Stationery & Sports Co., Ltd.
Jiangsu Xingyu Outdoor Leisure Products Co., Ltd.
Alibaba.com offers 5,847 football training equipment products. About 67% of these are football & soccer, 13% are other sports & entertainment products, and 3% are soccer wear. 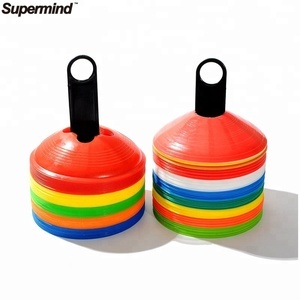 A wide variety of football training equipment options are available to you, such as free samples, paid samples. 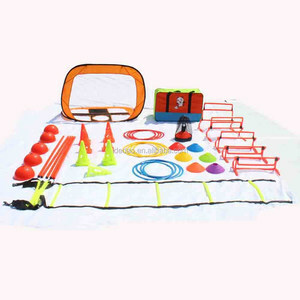 There are 5,841 football training equipment suppliers, mainly located in Asia. The top supplying countries are China (Mainland), Pakistan, and India, which supply 92%, 4%, and 1% of football training equipment respectively. Football training equipment products are most popular in Western Europe, North America, and South America. You can ensure product safety by selecting from certified suppliers, including 973 with Other, 523 with BSCI, and 499 with ISO9001 certification.